The federal government is getting serious about pushing racial and ethnic diversity into America’s neighborhoods–and is using big data and big money to achieve its aims. A new interactive database will help regulators, local housing officials and individuals take action on a newly proposed regulation that would require agencies to “affirmatively further” the inclusion of minority residents in white neighborhoods. Housing and Urban Development Secretary Shaun Donovan announced the database and regulation at last week’s NAACP convention, saying the Obama administration was battling “a quieter form of discrimination” that was “just as harmful” as long-outlawed segregationist practices, like racially restrictive property covenants. And so the progressive narrative has come to its logical end. Deep in their hearts, even progressives know that blacks and mestizos will never be high achievers, so, instead of the quaint old narrative of lifting up the disenfranchised, the final narrative is to turn white enclaves of success into ghettos. We’re now witnessing the terminal stage of the dispossession of European-descended peoples. 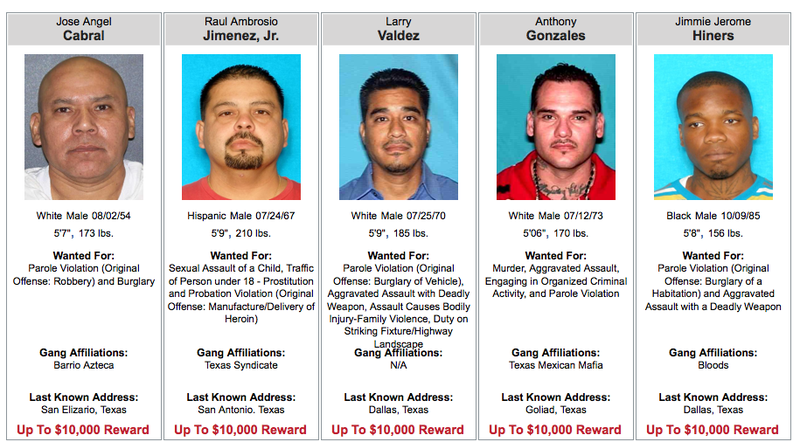 Chateau Heartiste on Twitter pointed out the fact that most of Texas’ most wanted criminals are Hispanic (actually, mestizo), although they’re listed as white, in reference to Ron Unz’s recent piece on race and crime. The US Gov. 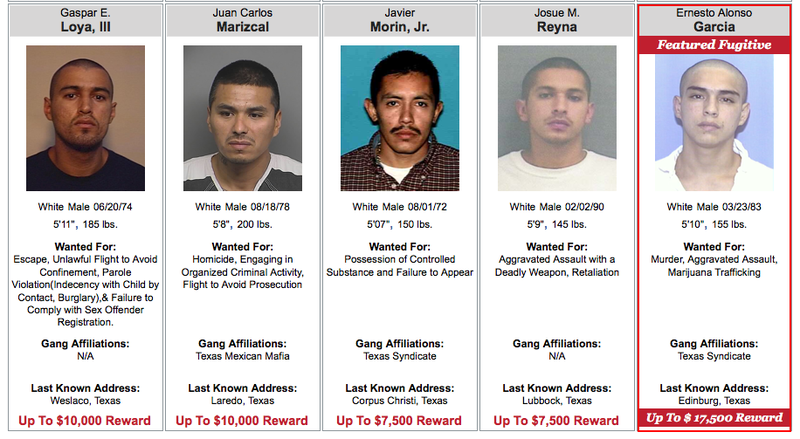 listing Hispanics as white creates all kinds of problems for those analyzing data (so it’s not surprising that people, like Unz, have miscalculated data on Hispanics and crime). Here’s an idea. If the USA wants to be the hip multiracial empire it pretends to be, it really needs to learn to start using the M-word (mestizo). It’s not derogatory, it’s already used by governments and demographers throughout Latin America, and it provides a more accurate breakdown than the nebulous category of “Hispanics”. In theory, leftists should like it. Do they want their affirmative action set-asides going to successful white Argentinians or oppressed (non-white) Mexican mestizos? Of course, to use such a category will break up the coveted “Hispanic” grouping that many on the left are now trying to foster. Those on the right, however, have no excuse and should see the obvious value of breaking up the “Hispanic” category, but there’s a reason why Republicans are called the “Stupid Party”. Back when liberals used to quote the ole John Stuart Mill adage, “Stupid people are generally conservative,” I would object. Surely there were smart conservatives: TS Eliot, Russell Kirk, etc.. And there were smart conservative figureheads. But that was then. For lack of a better word, conservatism has become retarded. There is probably no better example of this than the recent adulation of Ben Carson at this week’s CPAC. Just check out Twitter. Granted, Carson seems like a nice guy; he’s a neurosurgeon and probably on the far right side of the black bell curve. But the guy is completely inexperienced and has no business in politics. But as the GOP has become an affirmative action trough for aspiring minorities, former white potential leaders have been demoted to cheerleaders and love the job. It seems that every year now white movement conservatives seek out a new Black Jesus that is going to save them from x, y, and z. A couple years ago it was Herman Cain, then Allen West, then Tim Scott. For conservative Catholics, it was recently some African witch doctor named Kodwo Appiah. Now, for white conservatives, it’s Ben Carson. What’s most interesting about this trend is not the aspiring blacks themselves but the psychological state of white conservatives that leads them to such frenzied states of ethnomasochism. Is it for forgiveness for “past sins”? More pathological altruism? Have they just been called “racist” for so long, white conservatives can only comfortably support a non-white leader? Granted, Rand Paul won the straw poll but Ben Carson certainly had the most fanatical support among internet movement conservatives. Will this be the poster of all future CPAC gatherings? 1) A ceiling has been set on Asian admissions into elite universities. 2) High IQ whites are underrepresented at elite colleges. 3) Black and Hispanic affirmative action has come at the expense of white admissions (not Jewish). 4) Jewish academic achievement at the top end has collapsed. 5) Jews are the most overrepresented group in elite college admissions (and it’s due to ethnic nepotism, not academic merit). Interestingly, Unz’s essay received much attention, but nearly all the responses dealt with point (1) above. Very little was said about the other points, when the most interesting finding of the essay was the collapse of Jewish intellectual achievement and the over-representation of Jews at elite schools. Even if Ashkenazis have higher average IQs than whites, there are many more whites than Ashkenazis. Given a normal distribution of IQ scores, high IQ whites (as Lynn and others have noted) should outnumber Ashkenazis 7:1. Yet, there is almost a 1:1 ratio of Ashkenazis and whites at elite colleges, although Ashekanazis only make up over 2% of the population and whites 63% of the population. But to the victors go the spoils, which raises the interesting observation that the nearly complete replacement of WASPs by Ashkenazis at elite institutions in the US is one of the most revolutionary events in US history but it’s something that probably 98% of Americans are unaware of and it’s barely been discussed in the mainstream media. Essays like Unz’s, however, might crack this silence. Over at his blog, Unz summarizes the Jewish responses to the collapse of Jewish intellectual achievement. Jews find it “depressing,” to summarize the responses in one word. Regarding whites’ under-representation at colleges, here are a couple other recent studies. “The odds ratio favoring African Americans and Hispanics over whites was 576-to-1 and 504-to-1, respectively, using the SAT and class rank while controlling for other factors. Thus, the median composite SAT score for black admittees was 150 points lower than for whites and Asians, and the Latino median SAT score was 100 points lower. Using the ACT, the odds ratios climbed to 1330-to-1 and 1494-to-1, respectively, for African Americans and Hispanics over whites. Former classics professor Steven Farron also has a book out, The Affirmative Action Hoax: Diversity, Character, and Other Lies (which Dennis Mangan reviews here), which provides a history of affirmative action, chronicles its injustices and absurdities, and shows the lengths to which universities will go to accommodate under-performing blacks and Hispanics all in the name of diversity! Also noteworthy is law professor Amy Wax’s recent article “Disparate Impact Realism,” which argues that under disparate-impact laws whites will be the ultimate losers, as lower-IQ blacks and Hispanics will always be under-represented in higher IQ positions, which, when rectified by disparate-impact affirmative action, will turn away more qualified whites. Bravo to Unz, Farron, Wax and others for exposing the lies of American college admissions! Laurie on What is a #Cuckservative?